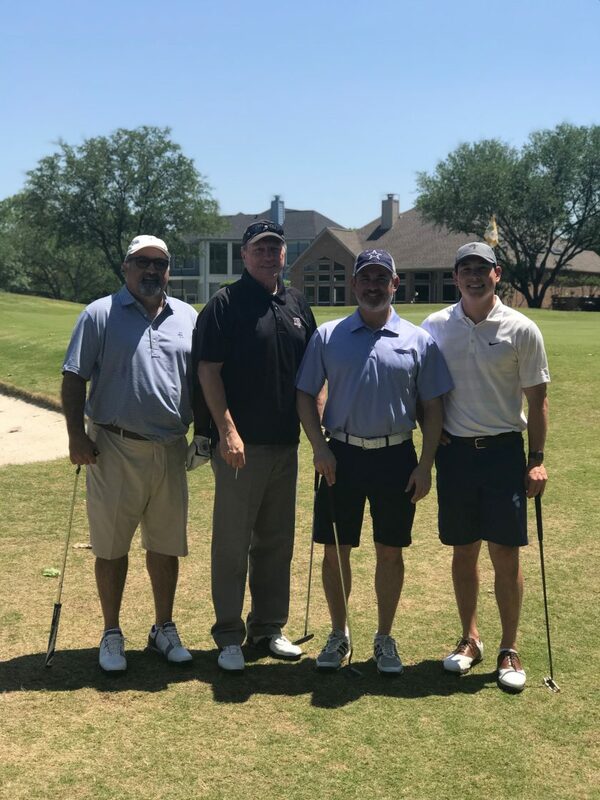 (Plano, TX) Henry S. Miller Brokerage hosted the 21st Annual Vance C. Miller Jr. Memorial Golf Tournament on April 24, 2018, at The Clubs at Prestonwood Hills Course in Plano, TX. The tournament benefited LIFT, Literacy Instruction for Texas, and the Vance C. Miller, Jr. Classical Guitar Scholarship in the Meadows School of the Arts at Southern Methodist University. Darrell Hurmis, Executive Vice President of the Land and Investments Division at Henry S. Miller, was one of the foursome that won 1st Place Gross Score. “Having played in all 21 events, I know this was one of the best attended and that everyone had a great time while we raised money for two worthwhile causes,” said Mr. Hurmis. Joining Mr. Hurmis’ winning team was Mark O’Briant, Lane Kommer and Liam Logan. Second place went to Nate Will, Nick Robinson and Matthew Cortez, and coming in third was the team of Jerry Averyt, Mike McCartan, Dan Louimer and Chris Barnet. Golfers included Henry S. Miller employees, brokers and associates as well as vendors for the company. Photo Caption. First Place, Golf Tournament, 2018, pictured left to right: Darrell Hurmis, Mark O’Briant, Lane Kommer and Liam Logan.